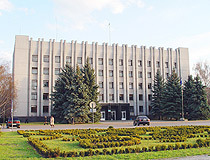 The city of Poltava oblast. Kremenchuk or Kremenchug is a city located on the Dnieper River in the central part of Ukraine, the administrative center of the Kremenchuk district of the Poltava region. Kremenchuk agglomeration is among the top ten in Ukraine with a population of about half a million people. The population of Kremenchuk is about 222,000 (2016), the area - 92 sq. km. The phone code - + 380 536 (6), the postal codes - 39600-39689. Local time in Kremenchug city is April 21, 9:32 pm (+2 UTC). The first settlements in the territory of present Kremenchuk existed already in the 5th-3rd millennium BC. 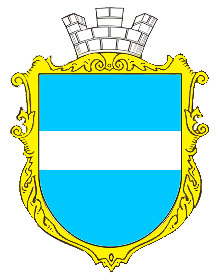 The official date of the foundation of Kremenchuk, according to the chronicle of Joachim Bielski (who continued the work of his father Marcin Bielski), is considered to be 1571. In 1590, the Polish king issued an order to build a fortress here. It was also planned to settle the Cossacks from Zaporozhye here, so that they would not be in conflict with the Turks. The period of the Kremenchuk history from 1571 to 1764 can rightly be called the Cossack period. In 1638, the Kremenchuk fortress was built, the plan of which was developed by Guillaume Levasseur de Beauplan - a French-Polish architect and engineer. A new stage in the development of Kremenchuk began in the late 1730s, in connection with the Russian colonization movement on the Right-bank Ukraine and the interests of the Russian army, which built its warehouses here. In 1764, Kremenchuk became part of the newly formed Novorossiya (New Russia) Governorate. The town became the capital of the province, local Cossacks became part of the Dnieper pikemen regiment. This time was marked by the birth of industry in the town. In 1784, the population of Kremenchuk was about 8,000 people. During the Russian-Turkish War of 1787-1792, it was the base of Russian troops, ships for the Black Sea fleet were built here. 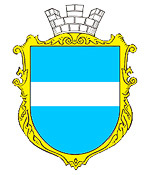 In 1798, Kremenchuk received its coat of arms, which symbolized the geographical location of the town - the Dnieper River flowing through it. The favorable location of Kremenchuk at the crossroads of old trade routes, on the main waterway of Ukraine contributed to the rapid growth of the town, turned it into a significant trade and industrial center of the province. Kremenchuk was the main point of navigation on the Dnieper. In the 1840s, up to 20,000 people worked at its wharves. The leading role in industrial production belonged to processing industries. In 1869, a railway bridge across the Dnieper was opened, which gave an additional impetus to the development of the town. 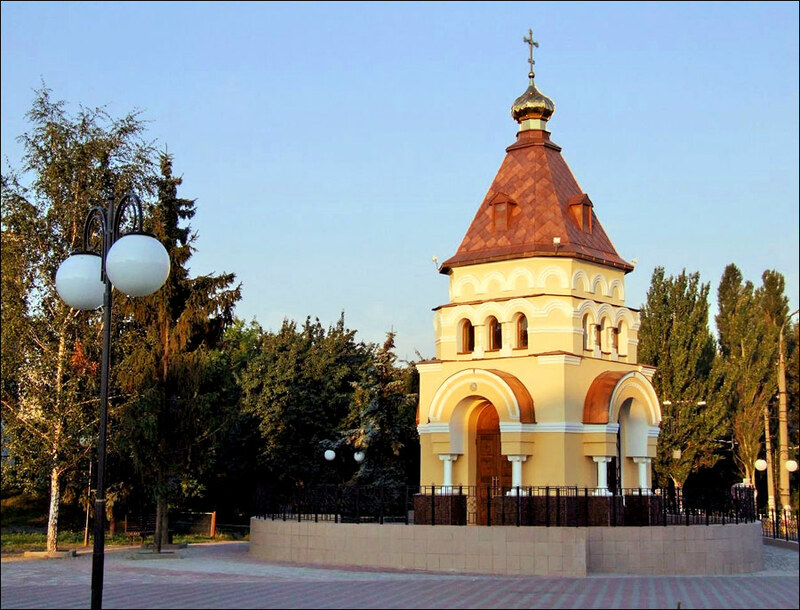 In 1897, the population of Kremenchuk was about 63,000 people (Jews - 47%, Ukrainians - 30%, Russians - 19%). In 1899, thanks to the Belgian joint-stock company, an electric tram appeared in the town. During the Civil War in the former Russian Empire, power in Kremenchuk changed several times. From 1920 to 1922, there was a separate Kremenchuk province. In 1928, the population of Kremenchuk was 64,180 people (Jews - 46%, Ukrainians - 43.9%, Russians - 8.3%). 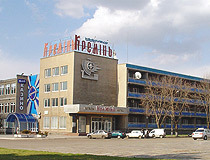 During the years of industrialization, Kremenchuk became a major industrial center. September 8, 1941, during the Second World War, Kremenchuk was occupied by German troops. On the territory of the city, a network of concentration camps was established, where more than 97,000 people were killed during the two-year occupation. About 10,000 of locals were moved to Germany as a slave labor force. September 29, 1943, Kremenchuk was liberated by Soviet troops. The date of liberation of Kremenchuk is celebrated as the City Day now. About 95% of residential buildings, 93 industrial enterprises, all cultural and educational institutions, a railway, a power station, a bridge across the Dnieper were destroyed. After the Second World War, heavy industry developed at a rapid pace in the city. Three Kremenchuk machine-building plants - automobile (KrAZ), car-building (KVSZ) and road machines (Kredmash) - became the basis of the city’s industry. In the neighboring Svitlovodsk, the Kremenchuk hydroelectric power station was built. In 1966, the first trolley buses appeared in the city. In the 1960s-1980s, a whole complex of chemical enterprises was built in Kremenchuk, as well as the most powerful power plant in the Poltava region, one of the most powerful in Europe refinery, the plant of technical carbon. Also new residential districts, streets, parks, squares, movie theaters, palaces of culture, libraries were built. After the collapse of the USSR, for a number of different reasons, the economic situation in Ukraine and in Kremenchug in particular deteriorated significantly. Kremenchuk is located in the central part of Ukraine, in the middle reaches of the Dnieper River, on its left and right banks, 113 km southwest of Poltava and 292 km southeast of Kyiv. The name most probably comes from the Turkish word “kermencik” (“small fortress”). The flag and coat of arms illustrate the geographical location of Kremenchuk: the white strip means the Dnieper River, which flows through the city. The climate in the city is moderately continental. The average temperature in January is minus 4.3 degrees Celsius, in July - plus 19.5 degrees Celsius. The construction of the Kremenchuk and Kamensk reservoirs affected the climate of the city and the surrounding region: the moisture content increased; there is no permanent snow and ice cover; in winter precipitation in the form of rain with snow and wet snow prevails. 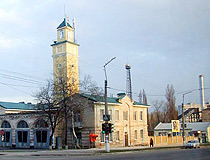 Kremenchuk has two districts: Avtozavodskyi and Kryukivskyi, which were established in 1975. Most of Kryukivskyi district is located on the right bank of the Dnieper, and Avtozavodskyi district is on the left bank. The only communication between the right and left banks is the railway bridge built in 1949. The main types of urban passenger transport are buses, trolleybuses and private vehicles. This city is a large industrial center of the Poltava region (oil refining, chemical and machine building industries, metallurgy, metalworking, food, light, construction industries). Kremenchuk is the largest polluter of the environment in the region - more than 90% of all industrial and domestic waste of the Poltava region. The green zone of Kremenchuk is formed by 8 parks, 8 squares, 3 boulevards, a green zone along the embankment. Two parks of the city have the status of monuments of landscape art (Pridneprovsky Park and City Garden). The city is also a major railway junction of Central Ukraine and a port on the Dnieper River. Kremenchuk railway station is one of the largest on the Southern Railway, on the line Kharkiv - Poltava - Znamenka - Odessa. The architecture of Kremenchuk was formed mainly after the Second World War, since almost all the buildings had been destroyed during the war. Today, there are only 22 houses in Kremenchuk preserved since pre-revolutionary and pre-war times. The City Day of Kremenchuk is celebrated on September 29 - the day of the liberation of the city during the Second World War. The dam of the Kremenchug reservoir is located about 15 km north-west of Kremenchuk. The reservoir is one of the six major reservoirs in the cascade on the Dnieper River in central Ukraine. The reservoir was created by the dam of the Kremenchuk hydroelectric station and filled with water in 1959-1961. When filling the reservoir, 212 settlements with a total population of 133 thousand people were flooded. The area of the Kremenchuk reservoir is 2,252 square kilometers (the largest reservoir in Ukraine), the total volume of water contained - 13.5 cubic km (the second place in Ukraine), the length - 185 km, the largest width - 30 km, the maximum depth - 28 m, the average depth - 6 m, the length of the coastline is 800 km. In winter time, the Kremenchuk reservoir freezes: from late December to March. The construction of the reservoir improved the conditions of navigation. It is also used for irrigation, water supply, recreation, fishing. There are large enterprises for fish farming on its shores. 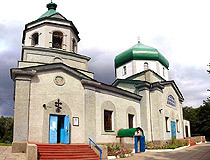 Today, there are more than 50 churches of different faiths in Kremenchuk. 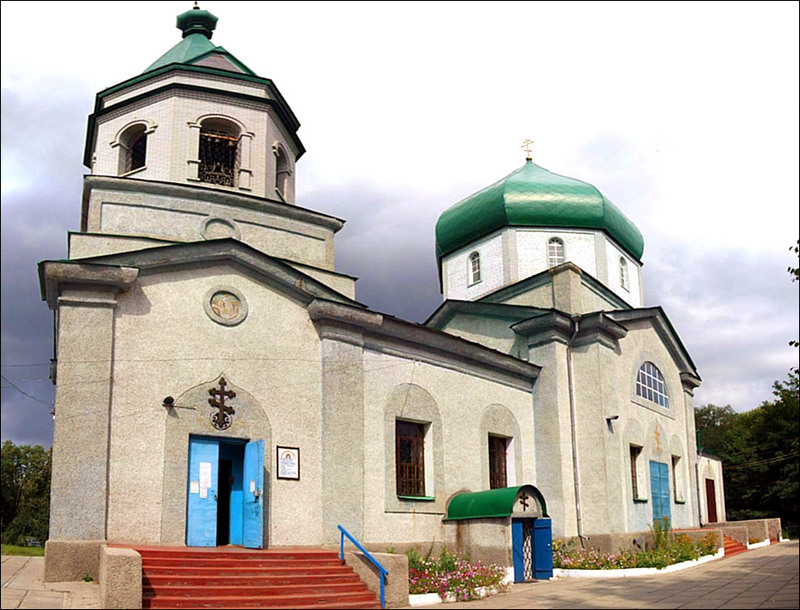 Among the believers, the largest part is the Orthodox Church (Ukrainian Orthodox Church of Kyiv Patriarchate and Ukrainian Orthodox Church of Moscow Patriarchate). Such religions as Catholicism, Protestantism, Judaism, and others are also presented in the city. Church of the Assumption of the Blessed Virgin Mary (1883-1887) - the oldest church in the city included in the list of architectural monuments of Kremenchuk. 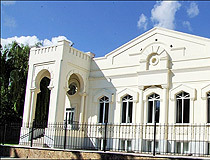 In 2012, a long restoration of the church was completed. Makarenka Street, 107. Kremenchuk Museum of Local Lore. 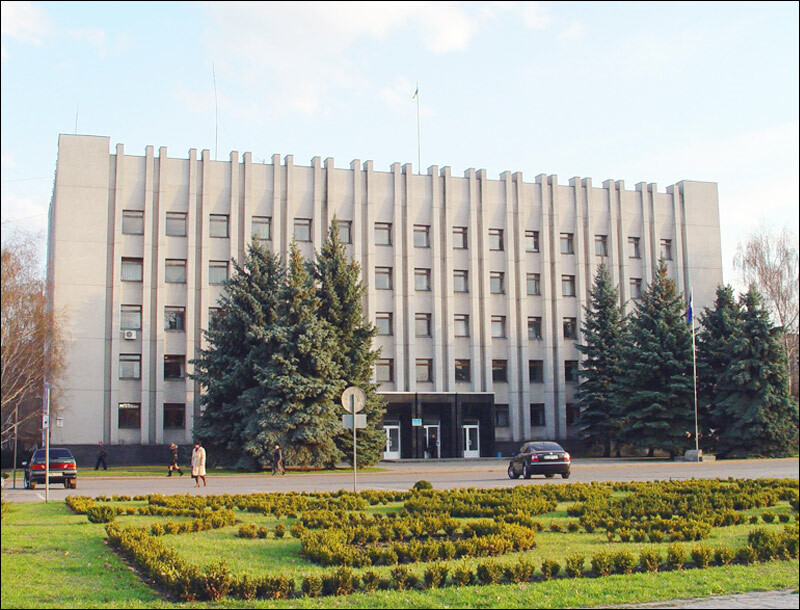 The paleontological collection of this museum is the largest in the Poltava region. In total, there are more than 60 thousand exhibits. In the museum you can learn more about the geological history of the Kremenchug region, its flora and fauna. 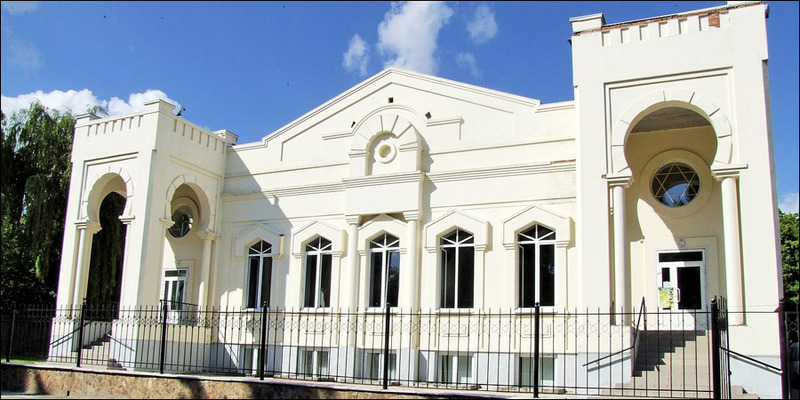 There are also separate halls dedicated to the pre-revolutionary history of the city and World War II. Ihoria Serdiuka Street, 2. Opening hours: 9:00-17:00. On Wednesday and Thursday it is open only for excursion groups. Pedagogical-Memorial Museum of A.S. Makarenko - a house-museum of Ukrainian Soviet teacher and writer Anton Semenovich Makarenko, who was one of the founders of the system of child and adolescent education in the USSR. The museum was opened in 1951, in the house where Anton Makarenko lived in 1905-1911, 1917-1919. It was the first museum in the USSR devoted to the teacher. The most valuable are the photos from Makarenko’s personal archive. Makarenka Street, 44. Museum of the History of Aviation and Cosmonautics. Opened in 2014, the museum highlights events related to the history of aviation in Kremenchuk. In general, the exposition is based on the theme of the Second World War. Here you can see military and civilian uniforms of pilots (both modern and WWII times), documents, photographs, household items, weapons, military aircraft models, etc. Pershotravneva Street, 57A. Opening hours: 09:00-18:00. Peace Park. The park was founded in 1983, in honor of the 40th anniversary of the liberation of Kremenchuk from German occupation. On the territory of the park, the Gong of Peace is installed - the Indonesian symbol of peace. There is an open-air museum of military equipment. From the observation deck of the park, you can enjoy a great view of the central part of Kremenchuk. Myru Street. Monument to the Pike. In Kremenchuk there are several rather unusual monuments. In Prydniprovs’kyy Park, located on the bank of the Dnieper River, there is a monument to fish (pike) opened in 2009. In the city, a popular belief quickly arose: if lovers put their hands in the mouth of the pike, they will be together forever. Public Garden “Alpine Hill”. The garden with flowers, ornamental plants, paved paths is located on the territory of the river station. Numerous small rocky hills with waterfalls and fountains are built. Among this kingdom of greenery you can see bronze characters of fairy tales. 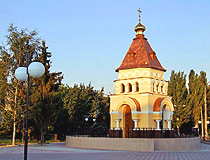 Kremenchuk is not a popular tourist destination and the number of hotels in the city is relatively low. The following English friendly hotels offer the best level of service according to reviews of visitors. Hotel “Helicopter”. 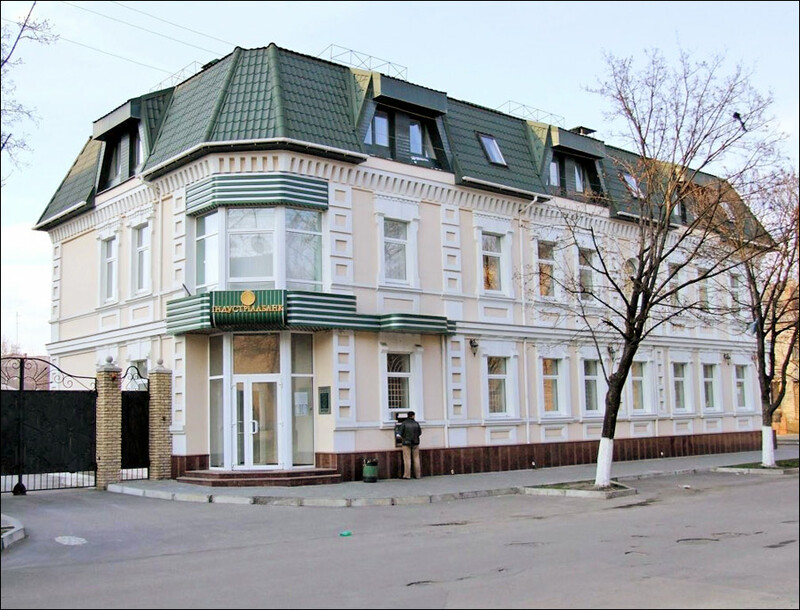 This modern five-storey hotel is located in the very center of Kremenchuk, near the Dnieper River. The hotel windows offer panoramic views of the city’s central square and the park area. 27 rooms with air conditioning, free Wi-Fi and private parking, safe, elevator, room service, shuttle service, restaurant, pets are allowed on request, helicopter tours of Kremenchuk. Henerala Zhadova Street, 1. Phone: +380 5366 3 63 63. 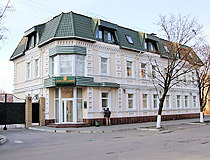 Hotel “Evropeisky”. The hotel is located near the city center, in 5 minutes walk there is a park, a culture palace, a movie theater, sports complex. 61 rooms with air conditioning, free Wi-Fi and private parking, safe, elevator, room service, shuttle service, bar, restaurant, fitness center, car rental, ATM, pets are not allowed. Lesi Ukrainky Avenue, 35. Phone: +380 5366 4 10 70. 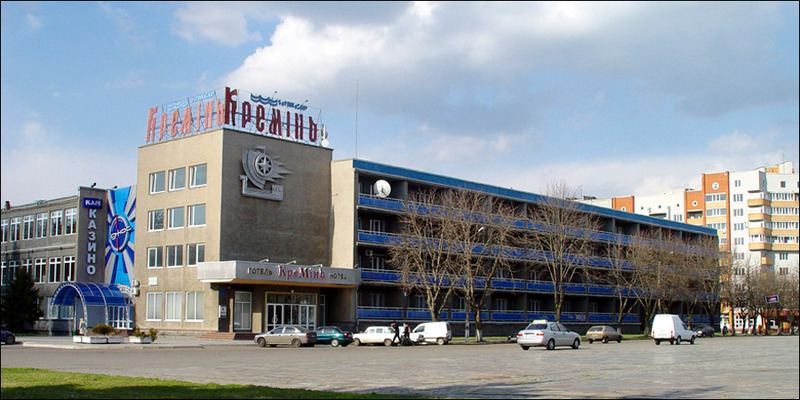 Hotel “Kremin” - a renovated Soviet/post-Soviet hotel located in the center of Kremenchuk in the park area near the Dnieper River. 125 rooms. Air conditioning, free Wi-Fi, safe, bar, no elevator, gift shop, beauty salon, ATM, pets are not allowed. Ihoria Serdiuka Street, 1. Phone: +380 536 79 23 00. Kainoa asks: 2016, plan on living in Kremenchug. What's the normal price for EU flat? Status of crime, economy, and living standards. The average cost of a new two-room apartment in Kremenchug is about 40,000-60,000 USD. The average salary is about 150-180 USD per month. In the past two years (2014-2015), an increase in crime is recorded, mostly burglaries. 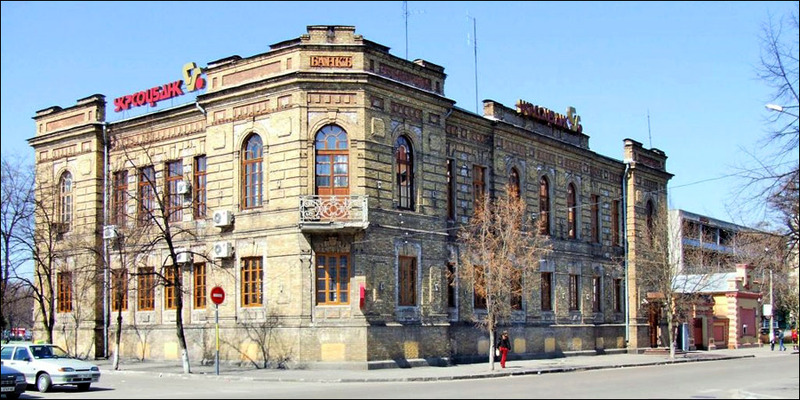 Jay asks: Are there any western union offices in Kremenchug? 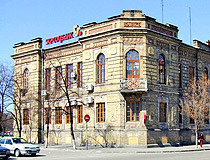 Almost all the banks of Kremenchug city offer the service of transactions by western union system. I will be stationed in Kremenchuk in about a month's time for about two years. Will be staying at the corner of Pershotravena St and Henerala Zhotava St. I spent 10 wonderful days in Kremenchug. I simply love it. And look forward to return. Our city is really beautiful! There are some parks, a lot of night clubs, cafes, pubs, supermarkets and hotels in our city. The Dnieper river is very beautiful. Come to our city in spring and you'll see it in all the beauty.